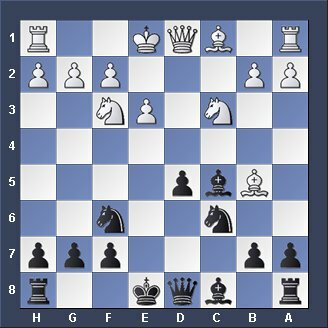 An isolated pawn at d4 or d5 is called Isolani. You can have Isolanis on other spots too but if placed on d4 or d5 you have to adjust your playing style accordingly depending on if you have one or the opponent. Sometimes the opponent will make you an isolated pawn called Isolani. Or in some cases the isolated pawn is the natural result of opening lines. It is neither good or bad to have an Isolani. The question is simply how to deal with it. It is like with many things in life. Fire for example is neither good or bad. It just depends how you use it. You can burn down a house with it or you can use it for cooking. It is similar handling an Isolani in "Chess Life". You can play the wrong moves and you will lose your endgame because you have the Isolani. Or on the other hand you use it to push it ahead at the right moment to make your pieces explode into the center. Avoid trading off too many pieces. This will bring you closer to the endgame and the Isolani becomes weak and will be lost sooner or later. Try to use the Isolani to open up the center at the right time and push it ahead when your pieces are all placed well to penetrate into the center after. Or use the Isolani for the attack and place a strong knight in the center, that is protected by the Isolani. As White with Isolani on d4 you can use the Isolani to protect your outpost knight on e5, which in return will have an aggressive attacking position because it is protected by the Isolani. As you can see in the position above Black has an isolated pawn on d5 as a result of sound opening play. Black will later on push the Isolani ahead and gain overwhelming control over the center with his knight. After that Black trades off the white bishop gaining the bishop pair, which represents a slight dynamic advantage for Black. Replay this procedure in the game below where Black is the expert.